Let’s take a look at the local market update for October 2016, according to the report from the Charlotte Regional Realtor Association. The big news with last month’s numbers is the year-over-year change in the drop in inventory. For the entire CarolinaMLS area, October 2015 had 13,742 homes on the market representing 4 months supply of inventory. 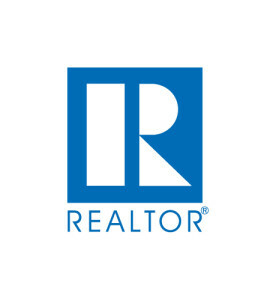 This year’s October numbers show only 10,570 homes on the market representing 2.8 months of inventory. This is a 23.1% drop in the inventory of homes for sale and a 30% drop in the months supply of inventory. With inventory as low as it’s been in a while, as well as an increasing demand among buyers, home prices are on the rise. Lake Wylie, Fort Mill and York County overall have also seen a decrease in inventory, though the drops haven’t been quite as steep as that which we saw with the overall CarolinaMLS stats, and the rise in home prices hasn’t been quite as steep or as steady in these smaller markets. Furthermore, regarding the entire CarolinaMLS area, new listings are up 2.7% from 2015, and closed sales are up 3.4%. 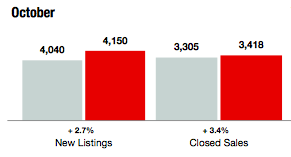 However, new listings in Lake Wylie are down 9.6%, but closed sales are still up 4.9%. As far as York County is concerned, the numbers here are a bit bigger, with new listings up 15.8% from 2015, and closed sales up 11.3%. The big takeaways here are that inventory is down creating a definitive seller’s market with rising home prices, and closed sales are up showing signs of plenty of activity in an active and strong housing market across the Carolina region. Stay tuned for next month’s stats!